Amongst the steady stream of 4X4s that pass through the office here at Pat Callinan’s 4X4 Adventures, you might be suprised by the one that is most sought after. Compared to Range Rovers, LandCruisers and whatever else, one 4X4 we find ourselves jockeying over the most is the great little Suzuki Jimny. We have one in the carpark at the moment, and have been putting it to task on and off-road for the last few weeks in an effort to gauge how practical the Jimny is with day to day life. Sure, it’s a lot of fun to scoot around in, but once the ‘honeymoon’ is over, what’s the verdict? 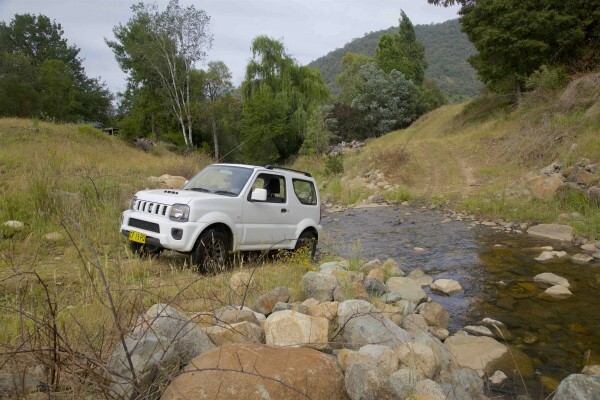 The Jimny is a bit of an old soul trapped in a new body. Like the 4X4s of old, the list of options and accessories is excessively short. Alloy wheels come as standard these days, and you can choose between an automatic and manual gearbox. Other than a protection pack, that’s about it for boxes to tick. We’ve got a manual, which we prefer over the automatic. It’s cheaper, gives you an extra cog, and allows you to get the most out of the powerplant. 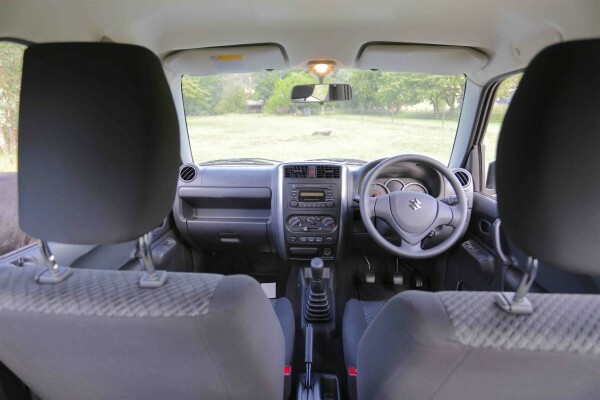 Seeing as the car is quite small and very lightweight, the Jimny is very easy to drive and throw through the gears. There’s room to seat four in that small body, and once you get them in, there isn’t room for much else. Also, you’re probably using most of your 360 kilogram payload with four souls aboard. It’s noticeably slower, but it will do it. You’ve got good air conditioning, and the seats combine well with a firmish ride and direct steering. This is certainly a car that is fun to drive, on bituminous surfaces or not, owing to that low overall weight. There are drums in the rear and solid discs in the front, but once again owing to that low weight, the ABS-supplemented brakes perform quite well. The interior is simple, quite spartan, but doesn’t feel cheap. It’s only $20,000, but this little unit is still made in Japan, after all. For driver and passenger, things are plenty roomy and visibility is top-notch. Rear passengers mean you get more cramped in the front, however. 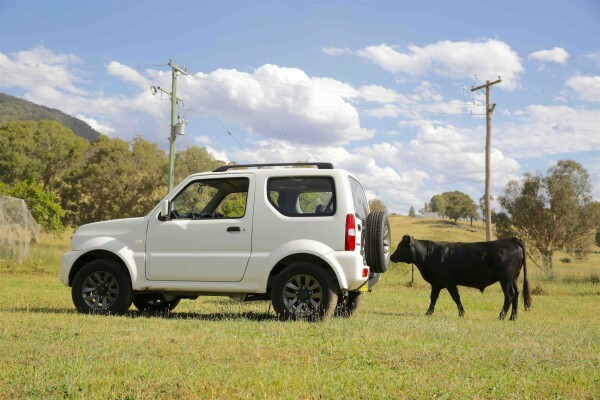 One thing that is a big appeal with the Jimny is the underpinnings. For someone looking for a 4X4 with traditional underpinnings and without the modern bells and whistles, this is one of the few remaining places where you’ll find it. With this comes good off-road ability. A low weight (just over 1,000kg) and reasonable low range reduction (considering the low weight) gives you great capability and drive-ability in the rough, technical country. Live axles underneath, slung up with three-link setups front and rear, will also be a big drawcard for some serious 4X4 buyers. Capable off-road? Yes, and it will only get better with a few choice mods. Speaking of which, many will be happy to know that the Jimny is well accommodated for in aftermarket-land. Think gearing, suspension, lockers, barwork, and even a supercharger for the motor. 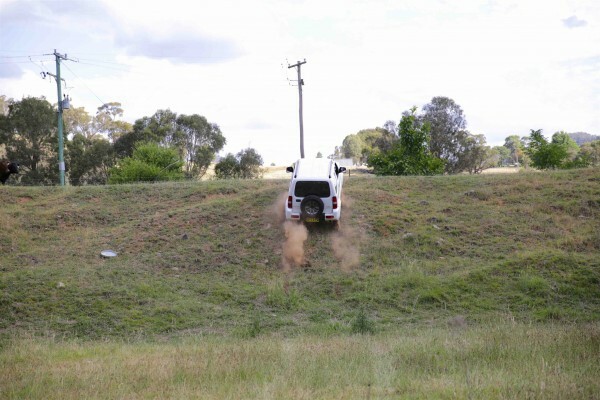 Light weight means the Jimny will run out of traction slower than other 4X4s, even with the smaller rubber. Under the bonnet is 1.3 litres and four cylinders worth of petrol power. 16 valves (with VVT) and double overhead camshafts makes it quite lively and flexible. Low-rev torque monster it is not, but the motor is quite happy anywhere between 1,200 rpm and the six-grand redline. You soon learn to rev the motor out a bit more than a typical 4X4, which leads to smooth and enjoyable gearchanges from the six-speed ‘box. Fifth gear gives you a 1:1 ratio (compared to 4th in most other gearboxes), which gives you short gaps between the gears, which works really well. The motor gets you up to highway speeds, but doesn’t have much left to give. Hills are a bit like kryptonite to the M13A, but you can’t help but appreciate how well it does for the size of the motor. Fill it up with people, and things get worse. We’ve driven an automatic model before, and noticed that the manual fares a lot better in this regard. 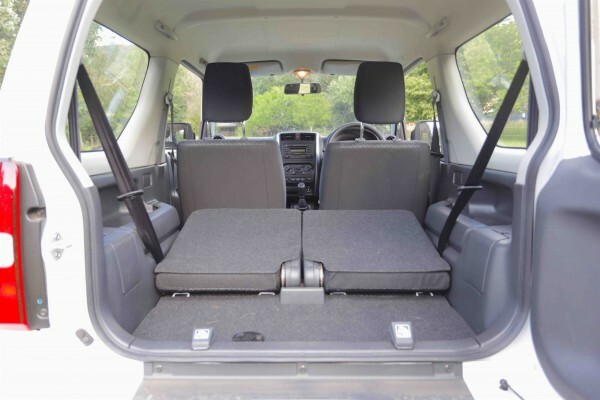 The Jimny’s rear load space, with the rear seats flipped down. The elephant in the room is the size of this thing. There are plenty of benefits to driving such a small 4X4: fuel economy (a claimed 7.1 litres per 100 kilometers, we’ll give you an update with real-world economy), dynamics and capability. The shortcomings are pretty obvious, and mean the Jimny is rarely used as a touring 4X4. Every kilogram counts, and you have to pack smartly and sparsely to fit everything. But, it can be done. With the rear seats down (or even better, removed), you can fit a reasonable amount of gear in the back. No, it’s not a giant Jimny. It’s a mini cow. It’s one of the smallest cheapest 4X4s available to buy, and doesn’t at any time feel cheap and nasty. There are plenty of benefits to owning something smaller, in the bush and around town. Long range touring and work-horsing may not be it’s forté, but it does excel in many areas. Also, it’s very hard to drive this thing without a smile on your face. For me, that’s a huge plus. So over all these Suzuki Jimny in ny opinion are the best little 4×4 on the market today & it will be a sad day when Suzuki Motor Co stop making these great little 4×4. P.S. Would buy another in a hart beat. Bought mine new this year. First my friends and family laughed, then admired it’s capabilities. I planned on accessories but it does everything I need in stock form. The above review is good but not correct on mods for the newest model. No bull bar available for my model as they render airbags defective. No snorkels either! If you want mods buy a pre 2013 model. Still……BEST TOY EVER. Please make a bigger tank. 40L is not getting you very far. Bought the one of the last of the SJ80 Sierras in 1996. Drove it around Australia three times. Sold it in 2011, regretted it ever since. Aussie aluminium bullbar, IPR lights, Long Ranger Fuel tank, King springs, tow bar, 27MHz SSB transceiver. Rebuilt the motor at 190,000. One cracked engine mount. Did one clutch. Sold her with 275,000 on the clock. NEVER took her on the beach – not even once – and NEVER had a single spot of rust. its a 4wd. what about overall reduction specs????? I’ve had my Jimny since March 2015, and I love it! I ripped the rear seats out and built a system which allows me to go away for days at a time – including the 45 litre Engel fridge. I live in Perth and, so far I have taken the beast as far as Karijini National Park, the Holland track and the WA goldfields. The Jimny purrs along, fully loaded; the review is right – you have to work it on the hilly bits of highway, but I’ve learned to sit on 95-100 kph and let all the rest pass me. Went down south to Lake Jasper, Northcliffe and Windy Harbour, last week – dead easy. As long as you understand the limitations of the little Zook, you’ll get to love it. I’m still running on the stock H/T tyres, but I haven’t come unstuck yet. the review is pretty much spot on. i had the ’90 Sierra and it was simply a robust, tough unit. added some mods and it got even better. i miss that thing.